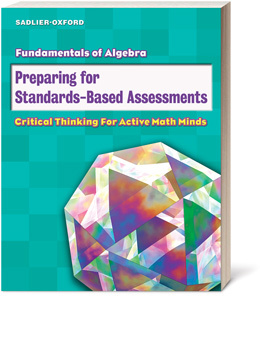 Give middle school students the confidence they need to experience success on high-stakes assessments with this supplemental program that provides strategies for solving problems that require the use of higher-level thinking skills. Lessons model and provide practice in all test formats: multiple choice, free response, and short response. Use worksheets to assess prerequisite skills for each grade level to determine if students are ready for the upcoming grade level, or choose a worksheet from the next grade level for an end-of-year assessment! - your choice! Make sure your students are ready for end-of-year assessments. Get a download sample of Common Core math practice worksheets. Each practice question covers one Common Core Standard and comes from the Question Sets in Sadlier Connect Online Assessments.